Niet in Japan? Kies de winkel van het land waar je je in bevindt om verkrijgbare boeken te zien. The book appears to be the "best of" many articles from the Runners World Magazine put together in a book form, but it is a good resource for running, related fitness, injuries, injury prevention, nutrition, etc. Running a long race helps a person in many ways. Studies prove that it is the best form of exercise that burns maximum calories to lose weight and keep fit. Apart from improving overall health, it also prevents a lot of diseases. Expert physicians suggest running as the best practice for patients with early stages of diabetes and pressure. It is also proved that running reduces the risk of heart diseases, strokes and attacks. In addition to health benefits, people who run long races are always happy since running is an activity that boosts confidence, improves morale and stimulates you to taste the sense of achievement. Moreover, researches have concluded that running can be suggested to people suffering from acute depression to help them get out of the situation fast. On the whole, running long races improves physical, mental and emotional health of the participants. This book aims to be the only guide you&apos;ll ever need for aspirants who wish to hold the pride of winning a long race. 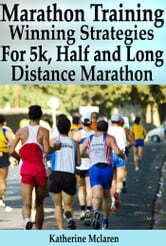 It gives specific and most valuable tips for athletes to win all kinds of long distance races. 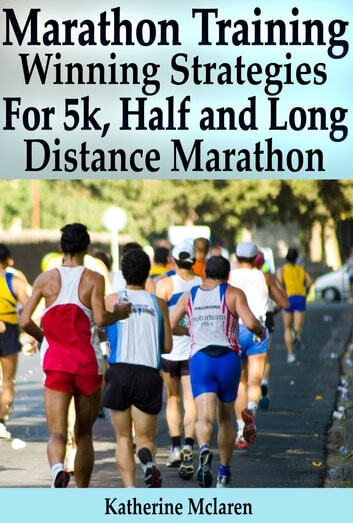 By adopting the techniques and strategies mentioned in this book, any laymen can train himself to win a 5k, or 10k, or half marathon, or an ultra marathon race. * How to be self-motivated always? • Different kinds of training to undergo like cross training (strength training, yoga, aerobics, etc. ), speed training, endurance training, right breathing technique, how to avoid injuries and cramps, etc. * On the d-day tips including tips to use the water stops, how to use a run walk method and so on.